Our range of products include ptfe graphite self lubricated packing, expanded ptfe valve stem packing, aramid rainforced ptfe graphite packing and aramid rainforced ptfe packing. 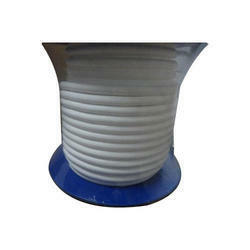 PTFE Graphite Self Lubricated Packing: This compression packing braided from PTFE fluoro polymer yarns intimately bonded with graphite Packing has excellent thermal conductivity, sliding properties and universal resistance to chemicals with the exception of strong oxidizing media such as oleum, fuming nitric acid and gaseous florine. 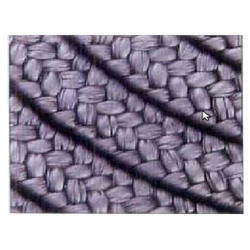 This high quality packing braided from high purity graphite incorporated PTFE yarns with lubricant. High flexibility and volumetric stability and high heat dissipation makes it suitable for high shaft speed and high temperature high pressure applications. 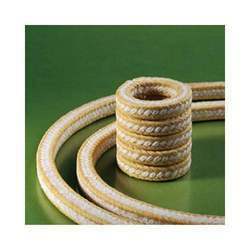 Packing braided uniquely with pure PTFE yarns with edge reinforcement of abrasion resistance aramid yarns. This combination offers greater structural strength and better sliding properties resulting in long service life. Ideally recommended for high pressure rotary, plunger pumps and valves handling heavy slurries, cabamate, ammonia solutions in chemical, fertilizer, paper, sugar industries.